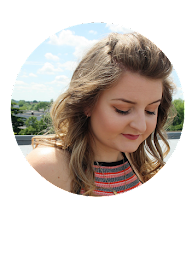 I've been using Fudge Urban hairspray for a couple of months now and thought i'd share my thoughts with you. I recently heard of Fudge Urban just before Christmas, a few bloggers were raving about their products so I thought i'd give them ago. I picked up this hairspray to try, I don't really use hairspray that much but I always have some for when I wear my hair up and when I curl my hair. This hair spray smells amazing, like seriously its soo good. It has a decent hold but leaves the hair feeling soft. It stops frizz and fly away hairs aswell which is good. It retails at £4.99 but I picked it up on offer, they had 1/3 off fudge products and i've seen it on offer a few times so i'd keep an eye open incase its ever on offer again. I would recommend it, it's a product, good hold and smells gorgeous but leaves hair looking natural. Avaliable at boots and superdrug.